I’m sure by now most people have heard about this case, but as I generally avoid the news, I’m quite a bit behind. I heard about this a week or so ago and it just keeps rattling around in my head. Amazing. Julie Bass is a homeowner in a neighborhood in Oak Park, Michigan. Like most of us who wander into gardening, she has a bit of a back story. It seems that a tree belonging to the city pushed it’s roots into a sewer pipe and flooded Julie’s yard, lawn, and house. They pulled up the yard, had everything repaired, and were left with a few mounds of dirt. After some reading and contemplating, they decided it would be a great place to grow some veggies rather than replacing the lawn. They put in some raised beds and got to work. The front lawn belongs to Julie and her family…what she wants to do with it is up to her, isn’t it? Not according to Oak Park. 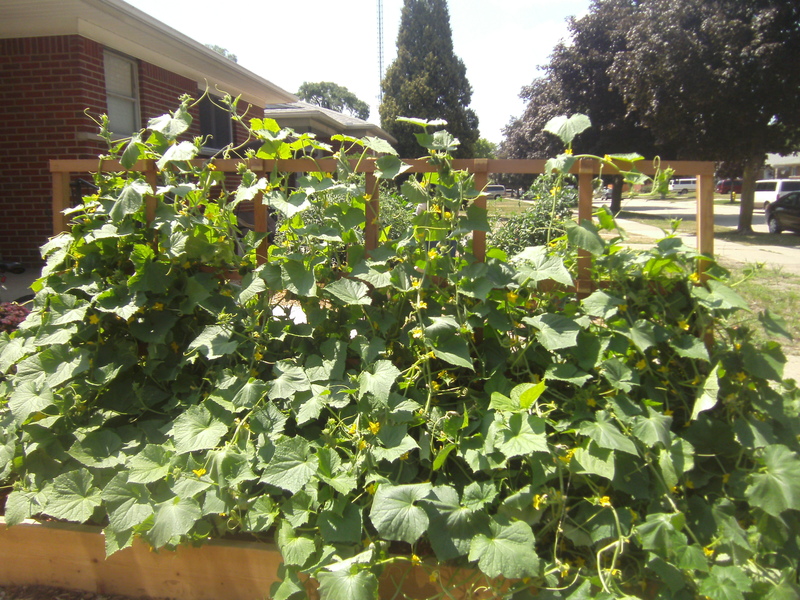 The city send Julie several warnings stating that she was violating ordinances and that she needed to remove her garden beds. Amazingly, when Julie refused, the city followed through on their threats and charged her with a misdemeanor. She had a trial date set and was looking at significant jail time. Being the brave one, Julie decided to fight back. She started a blog and a facebook page (OakParkHatesVeggies) and a petition was circulated. As you can imagine, there has been an outpouring of support. The petition had over 30,000 (!!) signatures and (most importantly), Julie was victorious. All charges were dismissed. Her family can now grow their vegetables in (relative) peace. As it turns out, this is not that rare of a story. 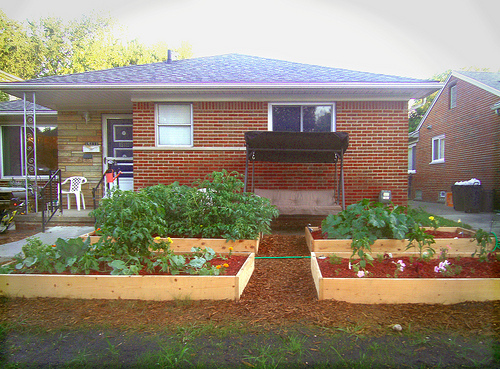 There was a family in Toronto as well and one article mentioned some grumblings in Utah regarding a front yard garden. I love reading stories about Urban Farming, but I must say this is not something that I expected at all.